"Miró left Barcelona for Paris sometime before October 28, 1936. With the civil war in Spain advancing without a foreseeable end, he decided to remain in the French capital; his wife and daughter joined him in December. They would not return to Spain for four years. 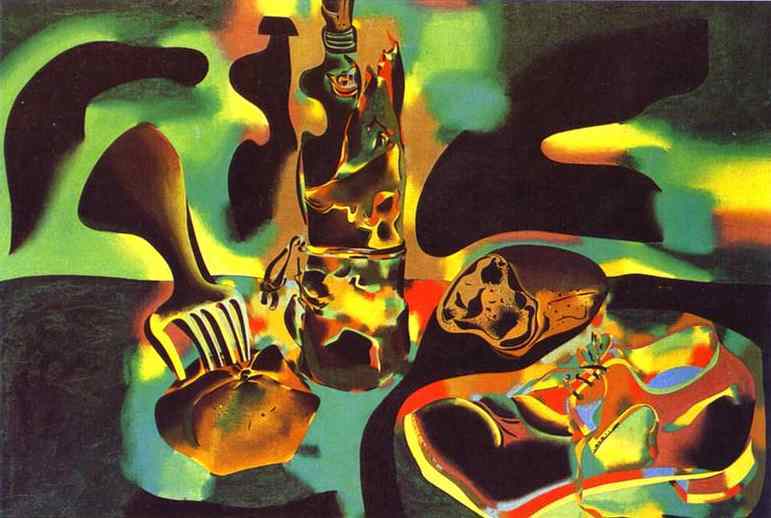 On January 12, 1937, Miró announced his intent to do “something absolutely different,” to return to working from life. The result is the incandescent, hallucinatory painting Still Life with Old Shoe."